The Arctic tern (Sterna paradisaea) is a small bird that makes the longest migration of any bird. It breeds in the Arctic tundra (within the Arctic Circle), but flies to the edge of the Antarctic ice pack during the winter. It flies over 21,750 miles (35,000 km) each year - roughly the circumference of the Earth. This excellent flier spends most of its life flying. This tern always experiences long days, since it spends the summer in the Arctic and the (Northern Hemisphere) winter in the Antarctic. Arctic terns have a life span of about 20 years. 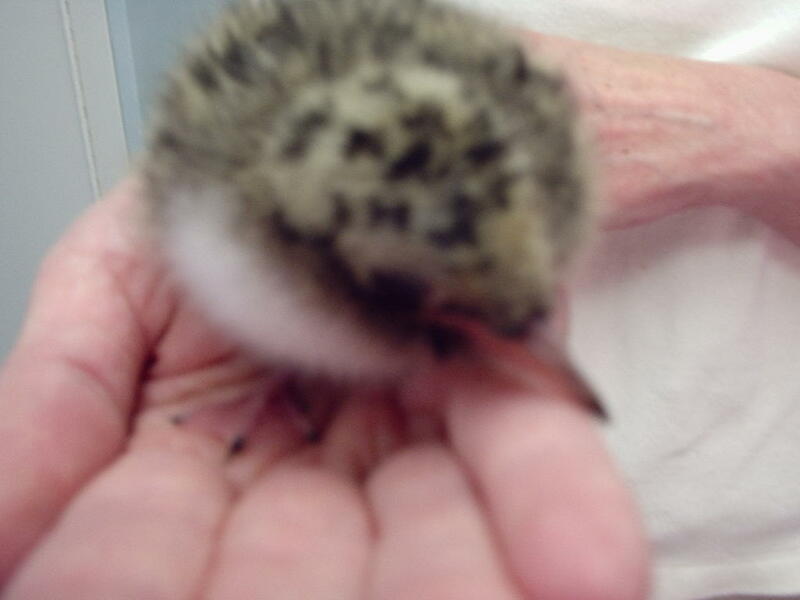 This one started it's life as an orphan and is getting a new start with baby bird mom and Rehab Director Cindy Palmatier. Fresh salmon everyday is helping this little fellow grow.In a few weeks he'll be released and start his worldly travels.